It does take a while for the evening to properly get going, with some of the early dances feeling a little too much like an unrelated series of lifts and stunts strung together, but once Olga Sharutenko’s Odette is introduced, Swan Lake On Ice really hits its stride. In a cast featuring 23 award-winning ice skaters, every performer is technically brilliant – and I’m still somewhat in awe of the way the ensemble manages to navigate the Hong Kong Cultural Centre’s small stage quite so effortlessly, particularly in the group numbers – but Sharutenko is a clear standout, bringing a feeling and grace to her role that really draws you in. Also impressive is Alex Kazakov as Prince Siegfried’s friend Benno; he’s a clear audience favourite, adding some much-needed humour and spirit to a show that doesn’t always have the most riveting of storylines (how many parties does a prince need?!). Although the story does occasionally get lost amidst all the leaps and lifts (I’d advise swotting up with the show’s programme, as there are some significant changes to the original plot too), the real glory here is the skating itself – which for the most part treads the right line between artistry and athleticism. I loved artistic director Tony Mercer’s clever reworking of the famous “Dance of the Little Swans” – that’s pointe work on skates, people! – although it would have been nice to see a few more moments like that which recalled Swan Lake’s ballet origins and married more harmoniously with Tchaikovsky’s music. That being said, I’m a sucker for a big finish… and they don’t get much bigger than the show’s encore, where the Imperial Ice Stars let loose and throw every trick they’ve got at an obviously thrilled audience – the very definition of going out on a high! Given the technical feat of creating an ice rink in Hong Kong’s Cultural Centre in the first place – over 36 man-hours to construct, using 14 tonnes of ice in total – it only seems right that the cast squeeze every bit of juice out of the white stuff, throwing themselves into a dizzying final array of lifts, spins, jumps and twirls where sparks literally do fly. Swan Lake On Ice is a show that impresses more thanks to its performers’ outstanding skating talent rather than creating any real depth of emotion, but it’s still an entertaining night out featuring plenty of wow moments that delivers something a bit different to the Hong Kong arts scene. After all, how many other shows manage to make it snow in May? The Imperial Ice Stars’ Swan Lake On Ice by Lunchbox Productions is at the Grand Theatre, Hong Kong Cultural Centre, from 27 April-8 May 2016. 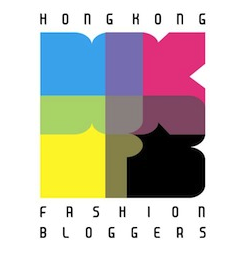 Tickets cost $345-945 and are available at www.urbtix.hk. The show then transfers to Shanghai from 21-26 June 2016; see here for more details. This entry was posted in Culture, Theatre and tagged Alex Kazakov, ballet, best ice dance, best ice skating show, Bogdan Berezenko, dance, Hong Kong Cultural Centre, ice dance, ice skating, Imperial Ice Stars, Imperial Ice Stars Hong Kong, Lunchbox Productions, Olga Sharutenko, review, Swan Lake On Ice, Swan Lake On Ice HK, Swan Lake On Ice Hong Kong, theatre, Tony Mercer. Bookmark the permalink.